Since 1967 when Mark Peiser became involved with the Studio Glass Movement, he has been recognized for his uniquely individualized approaches and accomplishments. 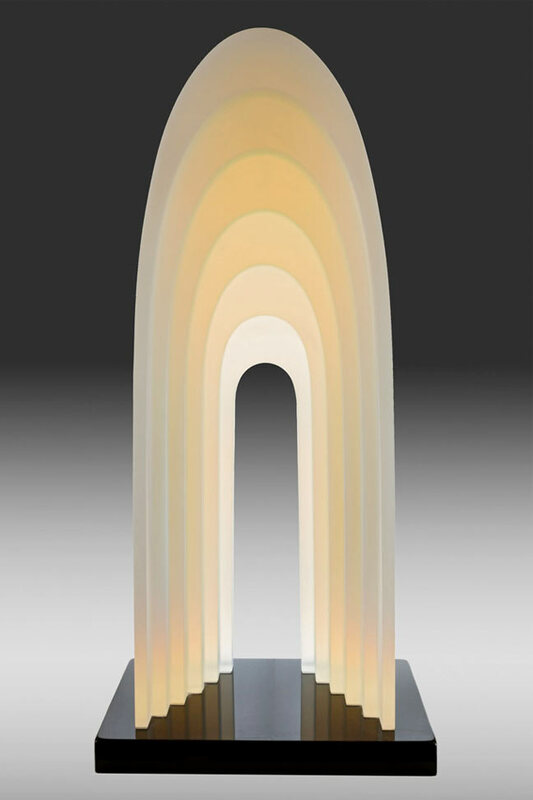 Peiser’s continual investigation of the expressive implications of glass properties and processes have led to distinctive bodies of work such as the Opaque Image Vessels, Paperweight Vases, Innerspace Series, Forms of Consciousness, Cold Stream Cast Vessels, Palomar, Passages and Etudes Tableau series. Recently Mr. Peiser published the book, Thirty-Eight Pieces of Glass – with Related Thoughts and is working on the Marko Blanko Project to develop a specialty glass for filigrana. Mark Peiser lives and works in Penland, NC. He is a founder of the Glass Art Society of which he is an Honorary Lifetime Member. His work is included in many public and private collections throughout the world.